Children's Therapy: My passion has always been about learning how to connect to others, especially to children. I have loved being a mother, a teacher, a community drama tutor, a university lecturer, a therapist, and now a grandmother. Being with children and their families has expanded the richness of my life through my growth of knowledge, fun, memories and enjoyment. 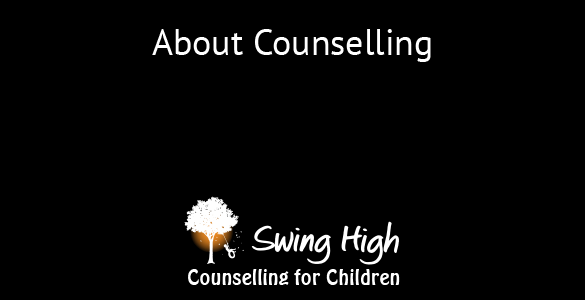 In 2012 I set up Swing High Counselling for Children in the Palmwoods village, Sunshine Coast. In 2017, with my husband's support and his architectural know how, Swing High is now my home practice nestled in the leafy green community of Paynter's Pocket, Palmwoods. The therapy of my choice is Child Centered Play Therapy (CCPT). I wanted to offer a therapy that prioritised children's changing growth stages, their individual needs and their love of play. From my years of observing children at play, I realised it's importance to their social, emotional and cognitive development. Research shows that CCPT is an effective therapy in helping children with many challenges. Swing High cares for children who experience excessive anger, fear, sadness, worry and shyness. With the use of Play Therapy, we are able to provide authentic, individual support to children with separation anxiety, trauma, sleeping problems, school difficulties and many other issues. We work with children who have ADHD and autism (other than severe autism). Play Therapy offers children a process in which they can learn self-control, how to take responsibility for themselves and how to become creative and resourceful in dealing with problems. Parents'/Carers' Role: My role as a mother is one of the most precious and demanding experiences I have had. I have learnt what it's like to be loved and to be challenged at the same time. None of us are really prepared for our parenting role, and just like you, I soon learnt from my children and my husband how relationships work and don't work in my family. You are invited to be part of your child's care at Swing High. As you are the most important person in your child's life, your support is vital. Your child's therapeutic progress depends greatly on you and your family. Bobbi Cruice: Learning to connect to others, especially children and families, has lead me down many paths. Living in Rockhampton, Central Queensland, for 36 years presented me with many opportunities. Teaching in primary and secondary schools, in the TAFE indigenous bridging course, the Central Queensland University and the cerebral palsy arts programme, in primary curriculum, physical education, and drama and theatre respectively, opened the door to my being able to learn about young people aged 5 to 25 years plus. In my roles as a festival director, youth theatre coordinator and artist-in-residence, I discovered that young people have extraordinary creativity, pragmatic resourcefulness and astounding resilience. I have developed great hope and faith in their ability to heal and grow in their own way and at their own pace. My qualifications include a Bachelor of Arts, a Bachelor of Psychology, a Certificate in Play Therapy, and I am a Registered Teacher. I have been an Associate Member of the Australian Psychological Society for over 10 years and I am an International Member of the Association for Play Therapy, USA. From 2010 to 2012 I received clinical training and experience as a Family and School Counsellor at Centacare, Rockhampton. In 2017/2018 I trained in Synergetic Play Therapy, USA. I have enjoyed working with young people and families for over 45 years.